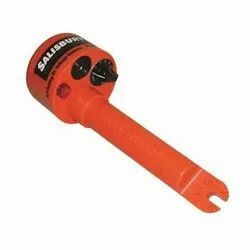 Salisbury's insulated rescue hook is an invaluable tool for any workplace. It's used to release a victim from contact. 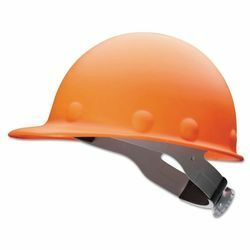 Confined spaces, in vaults, or just near electrical cabinets and switch gear are some of the places where this tool is a must. Insulated rescue hooks feature a foam filled, fiberglass reinforced handle for superior electrical insulation and a coated, heat treated body hook with an 18" opening and made in accordance with ASTM Standard F711. 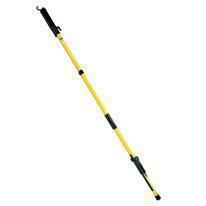 The stick is available in the standard lengths of 6 and 8 feet. Other lengths are available as a special order. Contact us with your requirements. 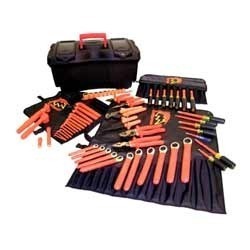 Tool Holders secure tools to trailers, compartments and tool rooms. Great for holding rescue hooks and static discharge sticks. 12 per package. 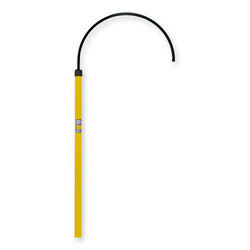 The Static Discharge Stick is designed to safely remove the static charge after de-energizing. 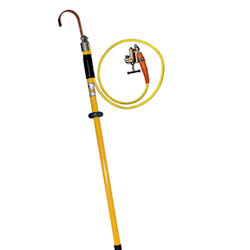 This tool is pre-assembled and includes a brass alloy “U” hook, closed cell foam filled tubular fiberglass switch stick made in accordance with ASTM Standard F711. Static discharge sticks have 6 feet of copper grounding cable attached to a Salisbury 1814 flat jaw grade 3 bronze serrated clamp with strain relief. it contains following components in a Kit. Meet current ASTM F1506 and NFPA 70E 2009 standards. Meet current ASTM F1506 and NFPA 70E standards. We have emerged as leading distributor of premium quality Salisbury Voltage Detector all over the nation. These products are manufactured using superior grade basic material with the help of advanced technology at our end in compliance with the set international quality standards. In order to deliver the defect free range, these kits are tested under the supervision of our experienced professionals upon several parameters to ensure the flawlessness. Its ergonomic shape and lightly powdered interior make the glove easy to slip on and off. Its natural latex base offers high dielectric characteristics. Its thickness (0.5 mm) ensures good dexterity while offering protection up to 500 volts of use. It must be used with a leather overglove. Certain Nylons Gloves Shave a high resistance to abrasion and provide a synthetic string-knit glove that is lint free. Shrinkage in nylon gloves is minimal and more uniform than in cotton, so nylon launders very well. Nylon is the material of choice for finer 13 and 15 gauge knitted gloves. 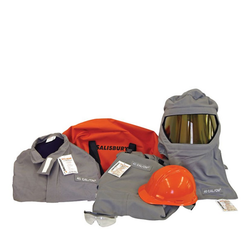 Our advance range of SKCA8 Arc Flash Protection is used in chemical and mechanical industries. These products are highly resistant to scratch and have more durability. 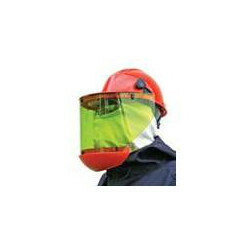 By providing extra safety from high temperature, our products make users comfortable to wear. 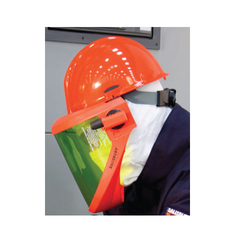 Leveraging on the capabilities of our highly skilled workforce, we are introducing a precisely designed range of Electrical Safety Helmet. Manufactured to perfection under the supervision of our industry experts. Offered in diverse sizes, pattern and colors, this range can also be custom designed as per its usage in different in application areas. These are treasured among the clients for durable standards, high reliability and hassle free performance. 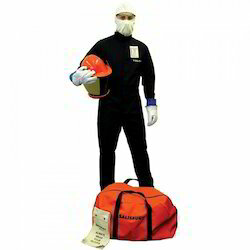 Protect each individual worker with ASTM Dielectric Footwear. 100% Tested & A safer alternative to grounding mats. 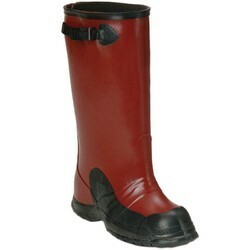 Salisbury’s dielectric boots are 100% waterproof and made from premium grade ozone resistant rubber. The flexible hand-layered construction includes a durable nylon lining for easy on/off. Salisbury Dielectric Footwear conforms with ASTM F1117 and is tested to ASTM F1116 at 20kV. The sole has a durable construction with a non-skid bar tread outsole. The attached buckle and hardware is nonmetallic. 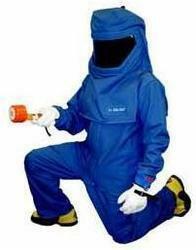 Manufactured in the U.S.A.
We are leading supplier of SK11 Arc Flash Protection Coverall. 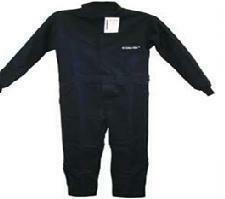 Salisbury By Honeywell : ACCA11BL Arc Flash Protection Coverall 11 Cal/cm2. Its thickness ensures good dexterity while offering protection up to 1,000 volts. The longer length (41 cm) helps to protect the forearm form dielectric risks. Its ergonomic design combined with a lightly powdered interior increases the comfort by providing additional softness and allows the glove to be put on and taken off very easily. The natural latex base offers high dielectric characteristics. Its thickness (2.9 mm) provides good dexterity while offering protection up to 26,500 volts. 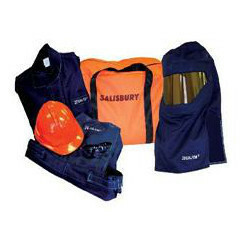 It must be used with leather over glove to protect against mechanical protection (abrasion, cut, tear and perforation). His length protects a large part of the forearm. and fatigue. To determine glove size, measure the circumference around the palm. Allow for additional room if fabric glove liners are to be worn,especially with thermal liners. 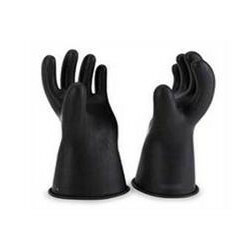 All insulating rubber gloves are extremely flexible and make working with small parts easy. 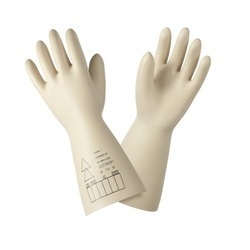 The gloves meet or exceed ASTM D120 and IEC EN60903 Standards. and fatigue. 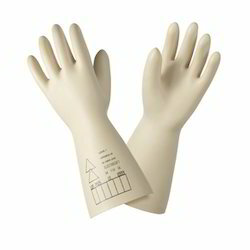 The gloves meet or exceed ASTM D120 and IEC EN60903 Standards. ANSI cut level 2 and EN388 cut level 3 performance. Bi-polymer coating is a blend that combines the best properties of nitrile and PU (polyurethane) to provide a surface that is mechanically tough, grippy and flexible. Black and grey colors hide grime making this glove a great choice for dirty applications. Fully launderable for extended use. The back of the glove is un-coated, for ventilation and wearer comfort. and fatigue. To determine glove size, measure the circumference around the palm. Allow for additional room if fabric glove liners are to be worn,especially with thermal liners. Class 3 glove are available in Type I Natural Rubber only. 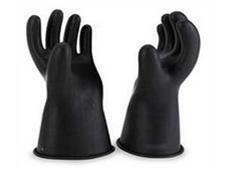 All insulating rubber gloves are extremely flexible and make working with small parts easy. Stainless Steel Hook. Heavy Duty Rubber End Cap. In Accordance With Astm Standard F711. Easily Wiped Down Prior To Use. These hot sticks have a standard splined universal head. 1.25” dia. 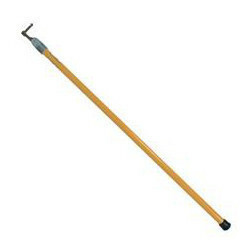 switch sticks are supplied with a #9971 Prong. 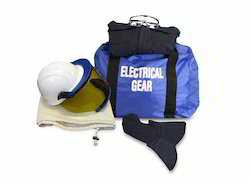 Looking for Electrical Safety ?